The sprawling city of Savannah, Georgia, in the thick heat of midsummer with the constant squeaking of cicadas seems a far cry from the inland crofts of Dornoch parish. However in 1741 the two were linked through one man: Captain Hugh MacKay. On 16th October he signed a paper, now in the National Archives in Edinburgh, making him tacksman of Rearquhar, Astle and Achosnich. This land was held direct from the Earl of Sutherland and in return Hugh paid cash, some produce from the land, and he was obliged to raise a troop of soldiers if the Earl needed it. Like the previous tacksman, John Sutherland and his wife Christian, Hugh would sublet the land. Subtenants lived and farmed together in groups of five or six with their families. Their clusters of houses and storehouses with a corn-drying kiln were known as clachans, or bailtean. Today the ruins of neighbouring clachans are visible, but the only evidence on the ground for those at Hugh’s are the stone-built outlines of the mill at Mill Hill between Astle and Achosnich, and an isolated longhouse downhill from Achosnich farm. As he rode around his new property, Hugh must have compared the thatched houses, mounded strips of arable and hill pastures of Rearquhar with the wooden palisades of Savannah’s fort, the humid climate, and the forests where he had lived for the previous six years. Nine years earlier, in 1733, General Oglethorpe led an expedition to create a military settlement in contested territory on the east coast of the Americas. Georgia was a buffer between Spanish-held Florida and the British-held Carolinas. The land was already occupied by the Creek, Chicasaw and Choctaw nations. Britain was building its empire and was determined to establish not only a trading post or a military fort in Georgia, but a settlement. It was Oglethorpe’s mission to do this. His expedition landed at Yamacrae Bluff where they constructed several fortified towns. The Spanish were a constant threat so in 1735 Oglethorpe requested experienced soldiers. That October a regiment of 177 Highlanders was raised near Inverness and sailed to the colonies under the command of John McIntosh Mhor. We don’t know where Hugh MacKay came from, but many were from Durness, Scourie, Dornoch and Inverness. In January 1736, after a stormy voyage, they arrived in the tiny colony. Hugh and his fellow Highlanders built a small fort and a Presbyterian chapel, naming their settlement Darien after the failed Scottish colony in South America forty years earlier. 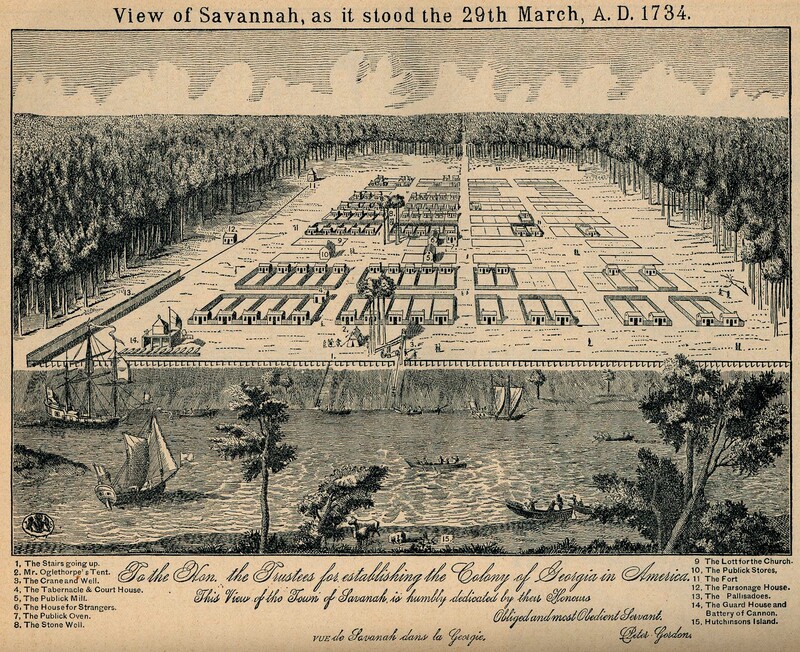 Savannah was a permanent settlement so many of the soldiers’ wives and children had also come: there was church and school and domestic life. John McIntosh Mhor was one who brought his family, but paid a great price for it. Young Janet died, possibly of malaria, and Lewis was eaten by an alligator when swimming with his older brother. Although the people planted crops, raised cattle, sawed timber and built homes, the British colony was far from secure. The threat did not come from the Native Americans who were more interested in commerce, trading deer hides for manufactured goods like kettles, needles and cloth. The main threat was the Spanish. In 1739 Oglethorpe’s colony was vulnerable as the maelstrom of the War of the Austrian Succession drew the colonies in. Fearful of the Spaniards, he gathered a party of Highlanders, which may have included Hugh MacKay to march three hundred miles into the interior to negotiate with the Creek. Oglethorpe needed to persuade the Native nations either to support the British or at remain neutral. He gained valuable allies by signing a treaty with the Lower Creek, and returned through Augusta where he negotiated with the Chickasaw chief. His expedition succeeded: by 1748 the Spanish threat was neutralised, and the British gradually tightened their hold on the region. Although he had been promoted from Lieutenant to Captain and had received a 500 acre grant of land in Georgia, Hugh was discontent. Angry at not being promoted to Major, he quit the regiment in 1740 and returned to Sutherland. As a tacksman, he could live comfortably on his rents and army half-pay, interesting himself in agriculture. That October he signed the document which bound him for nineteen years to pay the annual rent of ‘five hundred and thirteen pounds three shillings two pennies Scots’ for ‘several Toons and lands of Rierquhar Aisdale and Aihosnich with the Miln thereof and haill part pendules and universall pertinents belong to the said lands all lying within the parish of Dornoch’. And there he settled with Margaret: a one-man connection between the rickles of stones by the River Evelix and the burgeoning city of Savannah, four thousand miles across the ocean. This entry was posted in Emigration and tagged Achosnich, Astle, Captain Hugh MacKay, Cherokee, Chickasaw, Creek, Georgia, John and Christian Sutherland, John McIntosh Mhor, Oglethorpe, Rearquhar, Savannah, War of the Austrian Succession, Yamacrae Bluff by elizabethritchie. Bookmark the permalink.